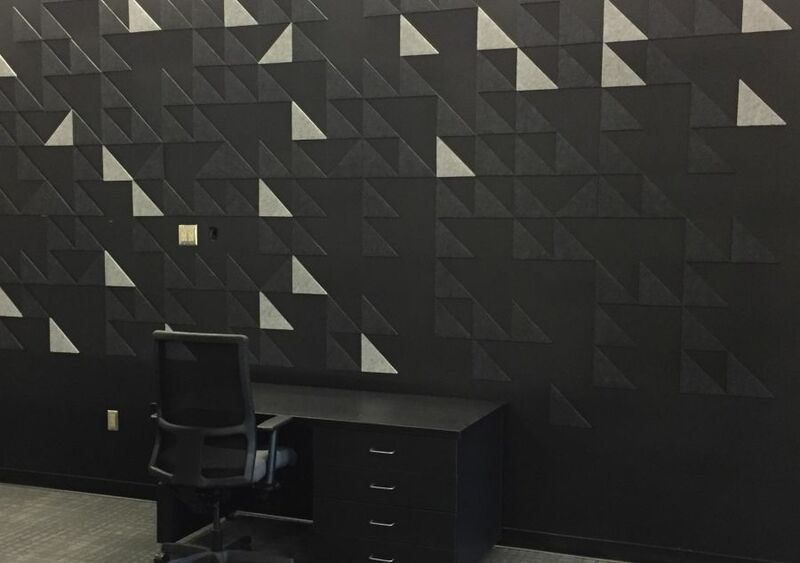 Create visually inspiring, acoustically calm spaces with Geometry Tiles. 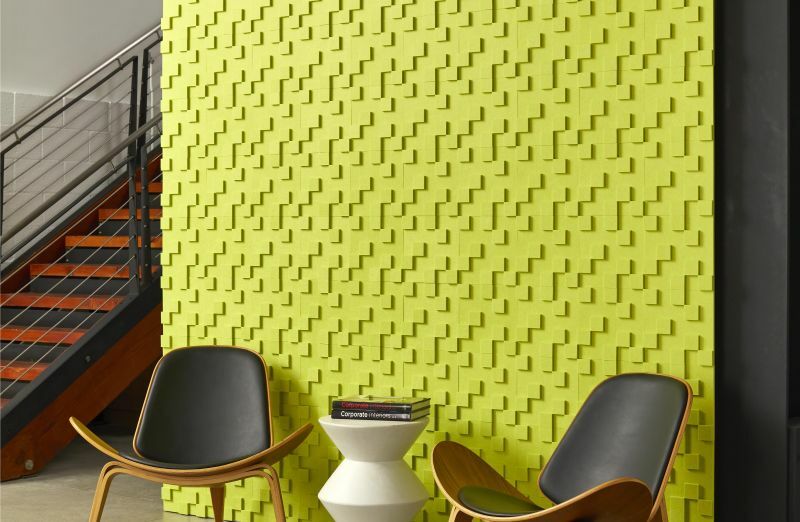 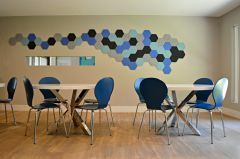 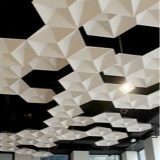 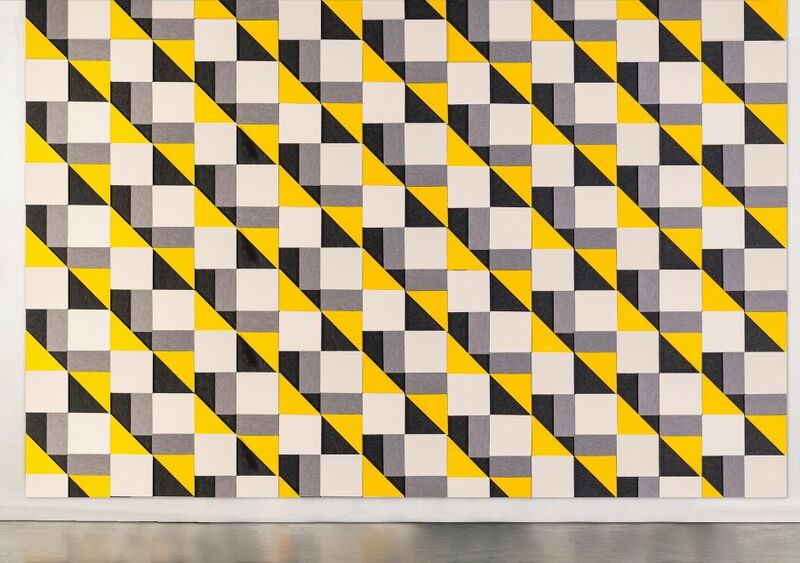 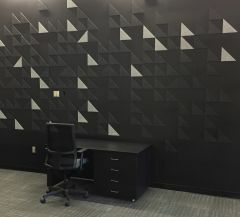 Geometry acoustic tiles install quickly and easily, thanks to a peel-and-stick self-adhesive backing. 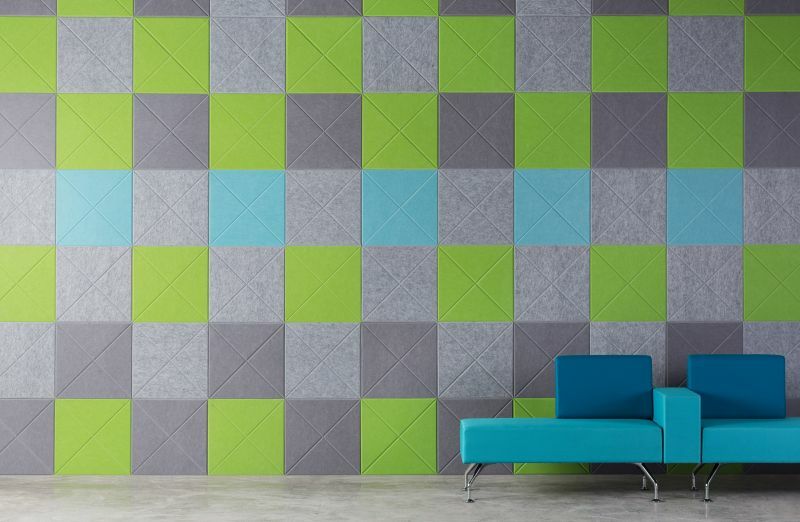 Available in 20 colors and 5 unique styles plus the option to customize shapes, these acoustic tiles can provide style and acoustic control to nearly any space in a flash! 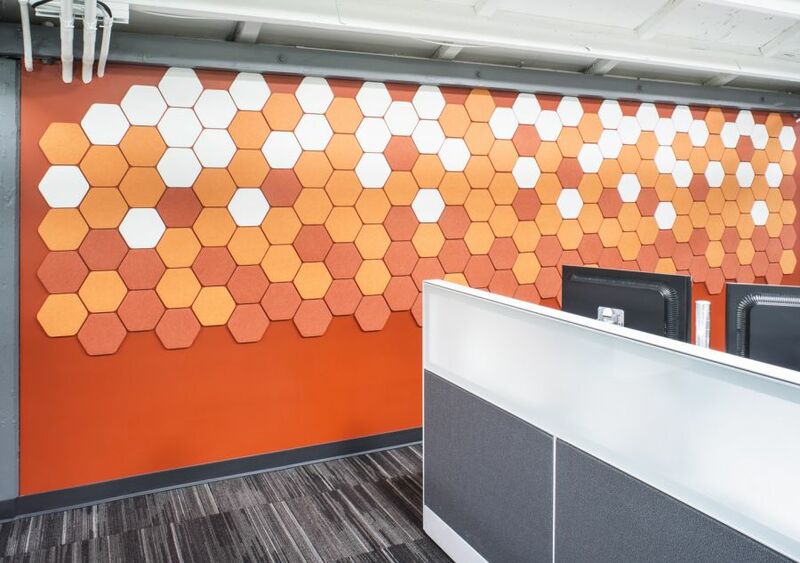 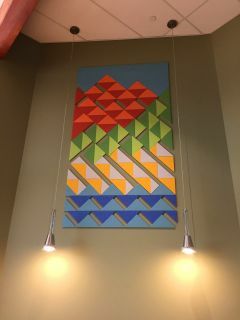 Peel-and-stick Geometry tiles can quickly transform your space both visually and acoustically. 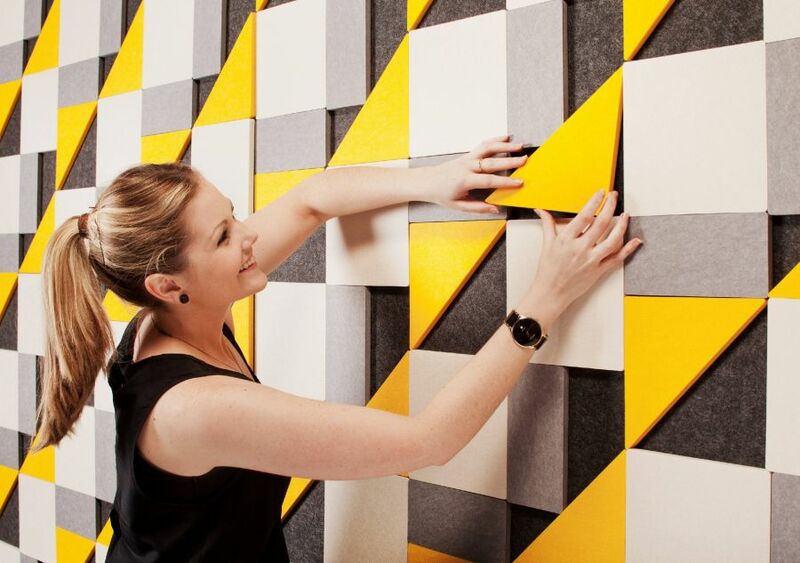 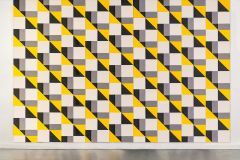 These bold, geometric tiles are a decorative surface finish offering acoustic performance with a felt-like finish. 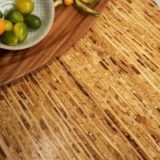 They are produced from 100% PET (Polyethylene Terephthalate) that, depending on the color, contains up to 60% post-consumer content. 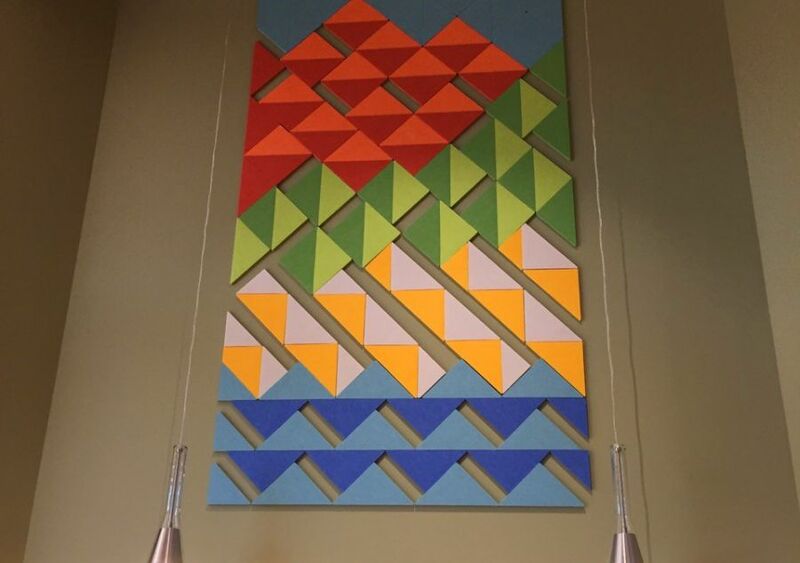 EchoPanel Geometry Tiles .49 lbs / SF Varies per tile style. Download the spec sheet for more information. 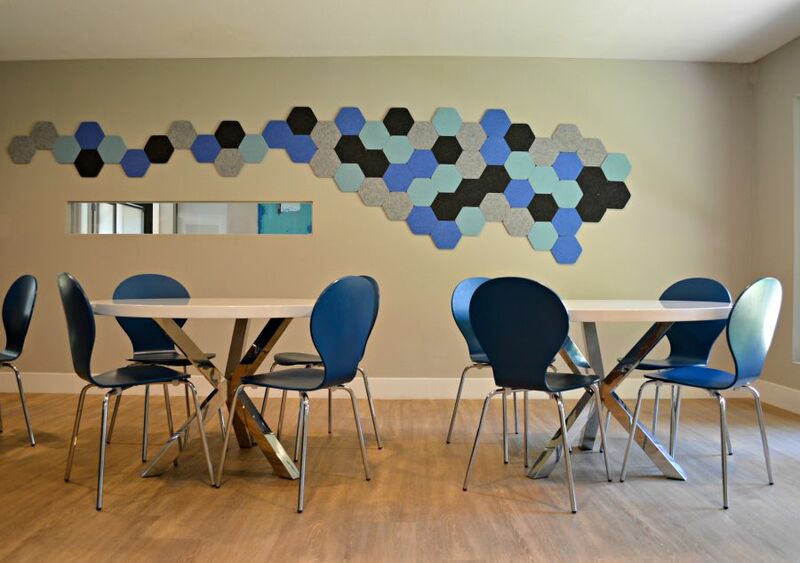 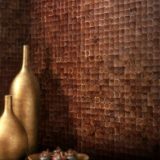 EchoPanel Panels & Tiles are environmentally made from recycled plastic bottles. 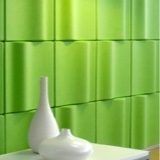 Though sustainable manufacturing and innovative recycling, EchoPanel leads the way for designers to get the sound they want - with the lowest environmental available on the market today.